Koraput a tribal district is the abode of nature’s beauty and resources. With abundant natural resources and favourable climatic conditions, the district has the capability to mitigate the poverty of the tribal people. The current practice of farmers is still improper used of the bado land into cropping pattern. Two phases vegetable cultivated in irrigated land whereas one time cultivation system practiced in un- irrigated land during one year period. Farmers donot have proper planning and skills to increase the yield. Farmers were given better package of practices by inter cropping and mixed cropping for better yields. Bhagaban Muduli a Marginal farmers live with 3 children and his wife at Raulipadar village of Champi GP. He belongs to tribal community. The village is 18 Km distance from kakiriguma market and 14 Km distance from Laxmipur market and 6 km distance from main road communication. He is a marginal farm Land status of Bhagaban Muduli: Land categories	DANGAR	PADAR	BADO	SARIA-1	SARIA-2	JHOLA	Total Area in acres	2	0.5	1	1	1	0	5.5 Bado Land: Present status: The farmers ddidnot use the bado land into cropping pattern. Two phases vegetable cultivation was done in irrigated land and one time cultivation during monsoon on non irrigated land was done. Approximately he earned an income of Rs 10000/ per year from his land. In this situation he is getting facilitation for planning, on field training on mixed cropping and handholding support like soil testing, selection of crops, crop protection and marketing through WORD agriculturist. He prepared an Agriculture plan for his land as follows: Cropping programme: Three phase cultivation process planning was done in the land for one year duration. In the first phase putting cereals, root, tuber, green, etc., vegetable during four months period from June to September was planned and grown. After that second phase spices varieties were cultivated during October to January for four months period. Thirdly the short duration of vegetables were taken up after the second harvesting from February to May four months period. Papaya, banana, Drumstick plants were planted in the periphery of the land. The major intervention done by Mr.Bhagaban Muduli is to improve production under agriculture programme, Promotion of back yard poultry farming, Income generation programme, Individual asset creation under NREGA, vegetable cultivation and mobilization of Govt. facilities were also taken up simultaneously. Promotion of mixed cropping at Household level: According to planning Mr. Bhagaban Muduli applied off season cultivation in second phase during October to January in their field during 2014 October. With the seed support of WORD he cultivated potato and Radish as a mixed crop in their one acre of bado land. He was given technical guidance by WORD. During the cultivation period he made an expense of Rs 20000/ (own contribution like ploughing, seedling, planting, manuring, watering, care and maintenance and harvesting etc) apart from seed provided by WORD. After harvest he contacted the three markets viz. Rayagada wholesale market and weekly market at Laxmipur and Kakiriguma. Mr. Bhagaban Muduli sold the vegetable an amount of Rs 70000/. and profited Rs 45000/ in the four month intervention practicing better agriculture techniques. Changes: The mixed cropping vegetable cultivation y profited them to Rs 45000/.With the profit he is planning to build a house and bought one goat for rearing. He learnt the skills and now able to take up the skills independently and also support his fellow armers. Conclusion: His involvement with WORD gave him opportunity to preparation of agricultural plan, taking up better package of practices, able to mobilise support from different departments like agriculture, horticulture etc., to improve his livelihood. He is now trained to support other farmers as well. Deo Saunta lives in Kapsiput Village of Bhitaragada GP, Laxmipur Block. She has three children and is now pregnant with her fourth child. Till now she had never attended any VHND or taken immunization .The same was the condition during her previous three childbirths. She was hesitant to listen and do whatever the AWW and ASHA would say to her. 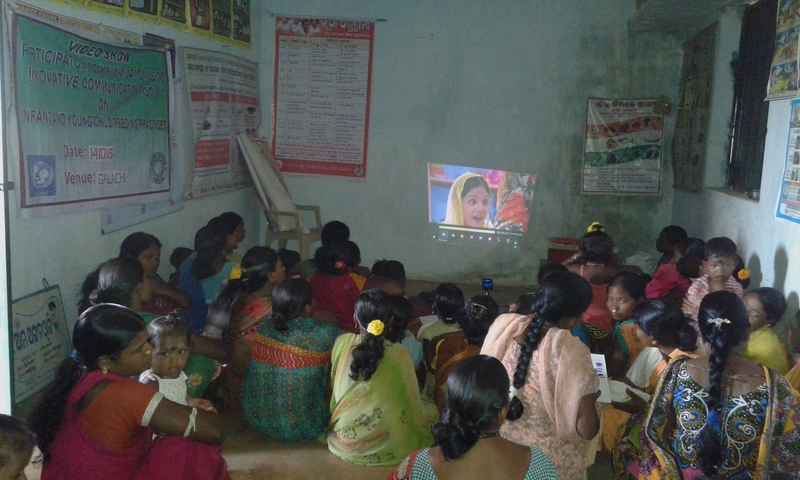 WORD had organized a video show in Kapsiput village on the topic of safe motherhood. After watching the video, the staff present there explained about ANC and PNC to the women and the others present over there. Listening to the staff and after watching the video Deo Saunta realized the importance of taking care of the child and also of herself. Thereafter she is now regularly attending the VHNDs and taking immunization and TT injections. The Video show has brought a change in Deo Saunta’s behavior and the way she used to take care of her. 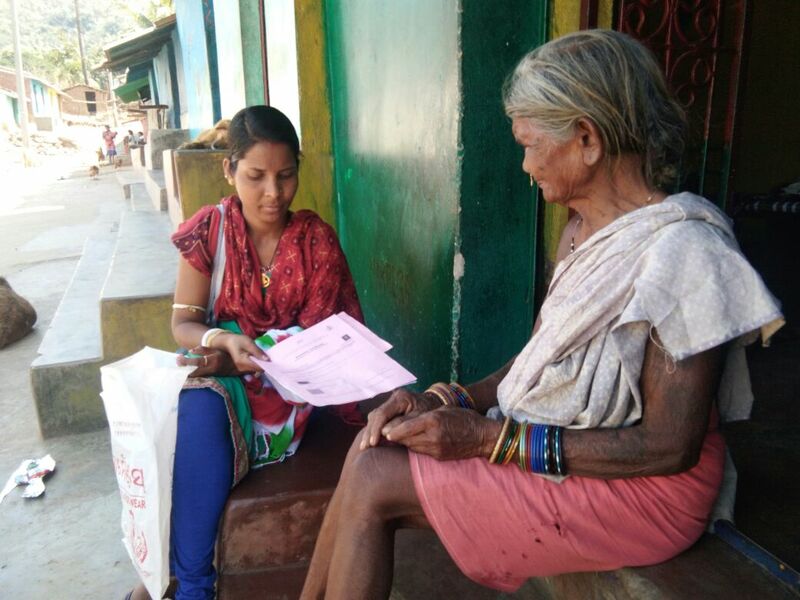 Now she is attending VHND regularly and taking ICDS THR on time. The CHILDLINE center of WORD received a call from Mr. Drono Khosla on 26. 05.2015. It was from Kellar village of Laxmipur block. The call was made in order to stop the marriage of a 16 year old girl. Miss. Kuntula Kandpan was the daughter of Mrs. Maria and Late Mr. Chitrasen Kandpan. Their family was not so well off. Her mother and other relatives decided to marry her to Sahadev from Bandhugaon. Their family could not afford for the marriage expenses. Hence the groom’s family agreed to make all the necessary arrangement and conduct the marriage at Majhigouri temple in Rayagada. It was to take place on 07.06.2015. The marriage was against the will of the girl and she had agreed to this only because of her poverty. Once they received the call, the staff of WORD reached the village and took the necessary steps to stop the marriage. They counseled the family members and the villagers .They informed about the consequences of conducting child marriage and also indicated how this is a violation of child rights. The police were also present to withhold the marriage and they also explained the villagers. When the people understood their mistake, they decided to stop the marriage for now. The family members of Kuntula gave an undertaking stating that they will wait for the girl to turn 18 years of age and the elder brother of Kuntula will solemnize her marriage. They also agreed if they violate the undertaking they will be punishable as per the law. The undertaking was signed by the girl Kuntula. Her mother Mrs. Maria, elder brother Sudarshan, uncle Chandra and two villagers Gobindo Garoda and Bhakta Khosla as witness.